I discovered this amazing waterfront property full of industrial buildings blocking an incredible view of the Willamette River. On that day, I had a feeling that Albany, Oregon would be one of Oregon's up and coming cities and this would be a great place to live. Today, Edgewater Village is on its way to becoming a vibrant, walkable and exciting community. It includes 30 single family homes, of which 12 are Riverfront and 18 are Street-Facing. There will also be 28 townhomes of which 10 are Riverfront and 18 are Street-Facing. To make it even better, the City of Albany is incredibly progressive and has invested $8 million in its downtown landscaping and infrastructure - further paving away for great restaurants, shopping and office to make this a great place to live. I hope you will find a home at Edgewater Village and it gives you and your family the memories that you deserve. Life is Short - Live on the River. 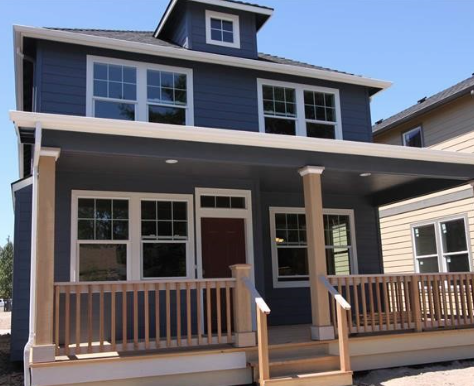 There are few locations in Oregon that provide riverfront living, walkable lifestyle, close proximity to a downtown, great finishes, covered back-patio and vaulted ceilings - all at a reasonable price point. We developed three styles of homes - and hopefully one of these is exactly what you have been looking for. Feel free to call us and dive into the details of each home and hear first-hand about the great workmanship and high quality finishes that Edgewater Village has to offer. 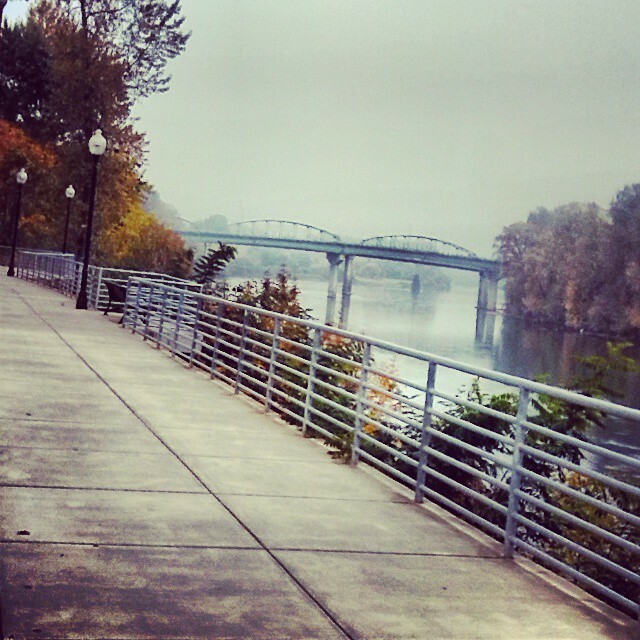 Wake up in the morning and enjoy a brisk walk along the riverfront to get your blood moving! Or after a hearty dinner, take a walk alone to collect your thoughts or with your family to talk about the latest exciting events in each other's lives. A home is the foundation of your family and the amenities of where you live can make it extraordinary. What we love about the Edgewater Village location was not only the views, but you can be walking on the Dave Clark Trail within seconds of leaving your home. Be sure to explore the Dave Clark Trail when visiting us - we hope you'll love it as much as we do. If you haven't explored Albany - You Should! From colorful Victorian homes to Craftsman-style bungalows, Albany boasts more than 700 historic buildings, home to museums, antique and upscale shops, an abundant community theater scene, miles of walking/running trails and parks, the Valley's best brews and local wines. Located in Willamette Valley, 69 miles south of Portland you will find yourself in a region full of possibility. From the west, the Oregon Coast with its sandy beaches and rugged coastline, from the east, the mountains of the Cascades, the Valley with vineyards, lakes and rivers are all waiting to be explored. Life in perfect balance. Albany is home to an abundant community theater scene, with frequent live shows, musicals, outdoor performances in one of the many parks. You can view local art at downtown galleries and public art installations. Check out the Albany Historic Carousel and Museum. Movie buffs can check out the latest new release at Linn County multi-screen movie theaters and at small independent cinemas, including an old fashioned drive-in movie theater. With 28 community parks and miles of hiking/walking/running trails, Albany is a great place to experience nature. Home to the 50 acres Talking Water Gardens, an innovative award-winning engineered wetlands with trails and wildlife, OR Fishing Club and the Albany Golf Club there is plenty to do. Downtown features boutiques shopping and in the center of Albany, Heritage Mall offers national retail stores. No secret here, but Albany is a feast for the foodie. Sybaris Bistro's and First Burger's Chef Bennett has made the James Beard Award short list several times. Utzman, two-time winner of Food Network's Chopped opened Frankie's Restaurant with a focus on local farmers and fishermen. Check out many of the bakeries and cafes in downtown Albany. Calapooia Brewery brews up everything from porter to pale. Make sure to explore the Valley's best and award winning brews and local wines. Small, friendly schools with welcoming and caring environments. Great teachers and staff in a safe and professional climate. Wonderful community to raise a family. Make sure to check out the Childers' Raspberry Farm. The Albany farmer's market runs April - November. The Monteith and Hackleman Historic districts offer a walking tour of lovely old homes and Albany's known eight covered bridges. Discover more at www.albanyvisitors.com. Albany is the 11th largest city in Oregon, nicknamed the "Hub of the Valley," 69 miles south of Portland and 44 miles north of Eugene makes it an ideal location. The historic train depot built in 1908 has been recently restored and is a destination stop for the Amtrak Railroad. Local buses run on three loop routes and shuttles are provided to and from the Portland or Eugene Airport. We are constantly working to help families find their perfect homes at Edgewater Village. If you have any questions or would like to schedule a showing, please let us know. One of our brokers will contact you soon. 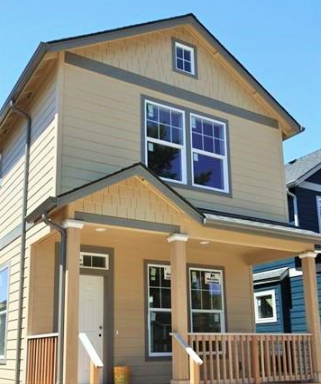 In the meantime, you can check out the different home options available on our site and start to explore this exciting neighborhood. 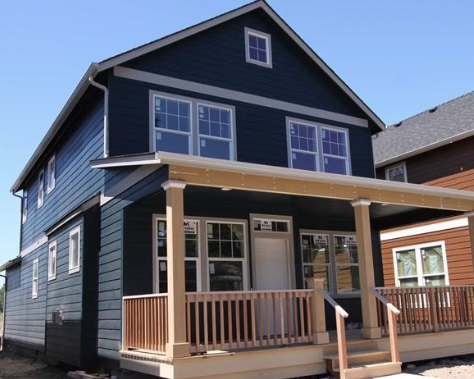 George N. Diamond is a licensed residential developer, CCB #205350, and real estate broker in the state of Oregon, and is the managing member of GND Investments, LLC which is the managing member of Edgewater Village, LLC. Paula Diamond is a licensed real estate broker in the state of Oregon and the wife of George N. Diamond. *The information contained herein has been obtained from sources we deem reliable. We cannot, however, guarantee its accuracy. Images for Illustrative Purposes Only; Some Lots Still Under Construction. Color is Approximate.